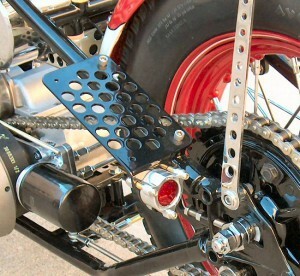 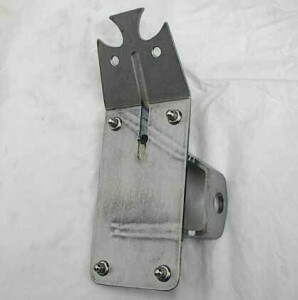 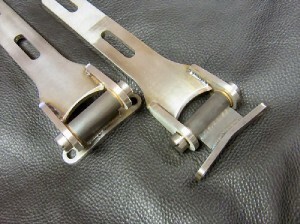 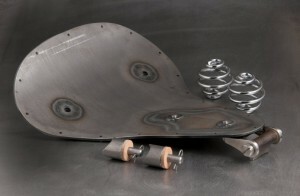 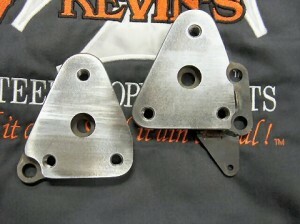 Here is the perfect companion to the Bolt-on Seat Hinge: Bolt-on Seat Spring Mounts! 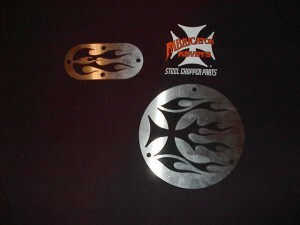 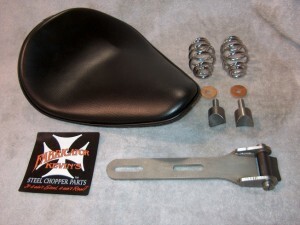 If you are not able to weld seat spring mounting bungs to your frame, this kit will allow you to enjoy the comfort of a sprung seat on your Hardtail. 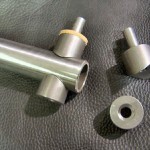 Simply drill (2) 5/16" diameter holes in the cross-tube that joins the rear fork legs, and bolt on these mounts. 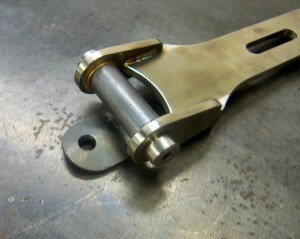 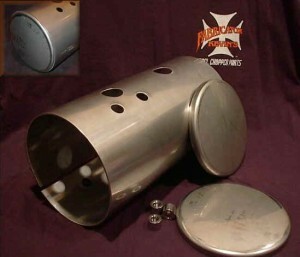 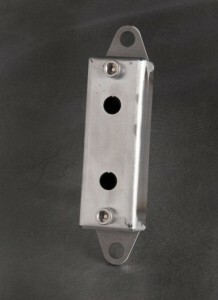 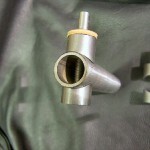 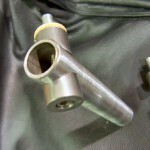 The top mount is fishmouthed for 1" diameter tubing, and threaded in the bottom. 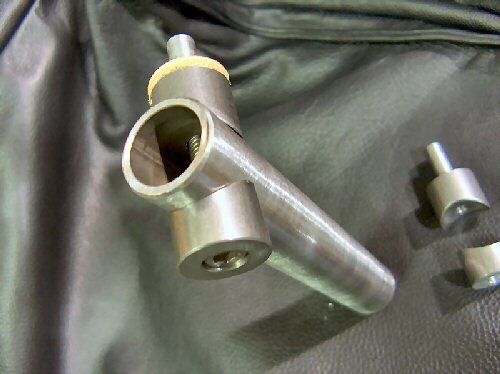 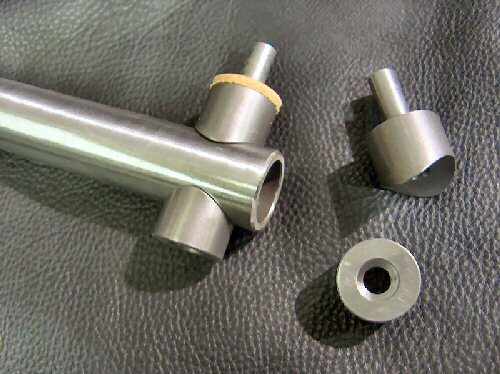 The bottom mount is also fishmouthed and counterbored for a 5/16" Allen Bolt to pass through it, through the tubing, and into the top bung - clamping it all securely together. 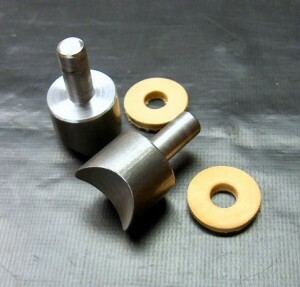 Leather "cushion" washers are also provided to keep the springs quiet. 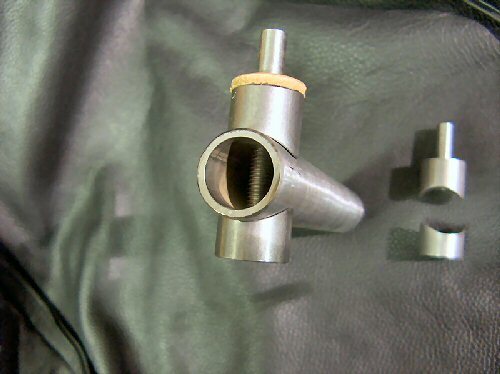 Add 10.00 if you need them to fit other sized tubing, and be sure to specify the size in the form to the left.